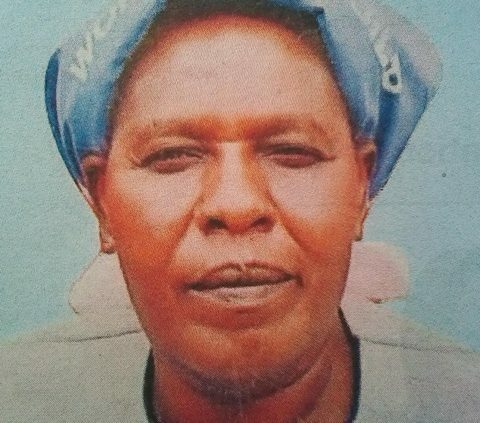 It is with deep sadness that we announce the passing of Mrs Joyce Wanjiru Njoroge of Teachers Estate, Nakuru on 6th February 2019. Joyce was a well loved teacher at Flamingo Primary School, Hyrax Primary School and owner -teacher of Joyous Nursery School. Joyce was also an active member of the Women’s Guild of Neema Faith PCEA Church in Nakuru. Joyce’s long teaching career touched and moulded countless lives across the country and beyond our borders. Words cannot express our sorrow in losing our daughter, mother, sister, friend and teacher. Daughter of Mary Njanja and the late Samuel Mburu Njoroge. Wife of the late Peterson Njoroge Wamai. Daughter-in-law of the late Samuel Wamai and the late Joyce Gathoni. Mother of Rebecca Gathoni Njoroge, Jennifer Njanja Njoroge, Annie Nyaruai Njoroge and Christine Nduta Njoroge. Grandmother of Tracy Joyce Wanjiru, Stacy Njanja Gathoni, Ian Njoroge, Nadya Wanjiru Wanakeya, Austin Abala and Ashley Abala. Mother-in-law of Francis Abala. 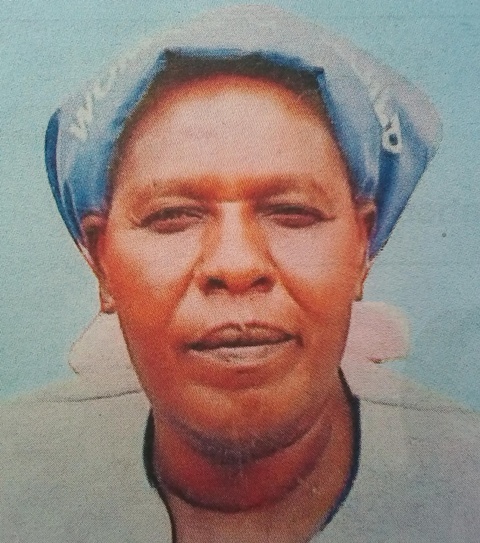 Sister of Joseph Njuguna, the late Reuben Njoroge Mburu, Lucy Nduta, Winnie Mburu-Kelempu, the late Pauline Njeri Mutethia, Monica Wanjiru Mburu, the late Timothy Njoroge Mburu and Anne Mburu-de Wagt. Sister-in-law of Anne Nyaruai Gikunju, the late Elizabeth Wanjiku, the late Johnstone Gatere, Samuel Ngari, Charles Maina, the late William Kariuki, Joseph Kaburi, the late Mary Muringo, Beatrice Wambui Njoroge, the late John Mutethia, the late Benedict Kelempu, Asili Farah, Rehema Dola, Rahab Nyambura Njoroge and Arjan de Wagt. Joyce is survived by numerous nieces and nephews. Meetings and prayers are being held daily at the family home in Teachers Estate, Nakuru at 5.00pm and at Nairobi at the Mburu family home in Karen from 5.00pm. Burial will be held on Thursday 14th February 2019 at her parents home in Limuru.